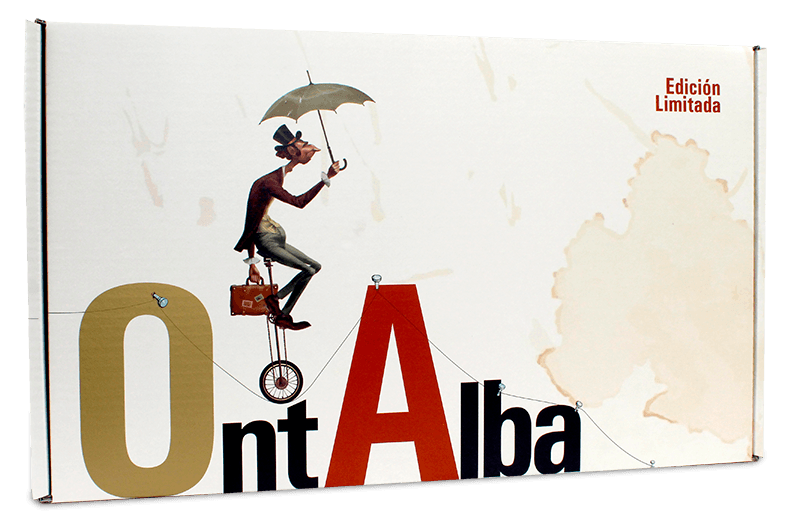 We present the new wines Ontalba, fruit of the twinning of ontur and Albatana. Our climate, our land and exceptional vineyards, are the cradle of these wines and their different personality. A unique journey towards the search for the union of climate, soli and the perfect vine. Variety of grapes: Sauvignon blanc. Serving temperatura: between 4 y 7 ºC. Nose: deep aromas, tropical blackground, and peach hints. A unique journey towards the search for the unionof climate, soli and the perfect vine. 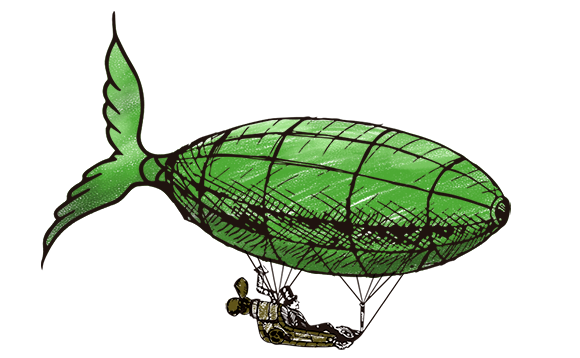 Mouth: volumen in the mouth, very sweet, complex with some mineral touches that provide a prolonged mouthfeel. Ontalba is the celebration of the balance of two brothers, Ontur and Albatana. It is the vindication of magic and charm. A wine that contaged the flavor of the show. Variety of grapes: Monastrell, Syrah, Petit Verdot. Serving temperatura: between 12 and 14 ºC. Color: cherry red, very deeply. Nose: intense, fresh and penetranting aroma. Fruity notes od red fruti, blackcurrant, blackberries and currants and a balsamic and epeated background. Mouth: entry into the mouth is fresh, in the case of a meaty wine, sweet, with a velvety volumen elegant and present tannins. Pairing: ideal with iberian sirloins, strong cheeses, cod confit, suckling pig or roast kid. Ontur and Albatana gather as few place in the world so many qualities for the cultivation of the vine. Its climate and land make this area an incomparable cradle of great wines. Monastrelón transmits strength, energy, happiness, purity, aroma, colourr,… elements that make up life. An elixir to share. Is in perfect unión with the nature of some pampered vineyards for man and the sun. 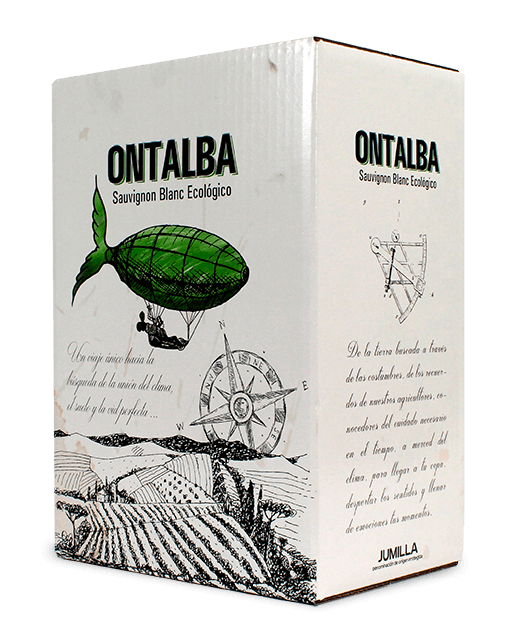 It is the energy that is transformed into the penultimate wine of Ontalba. 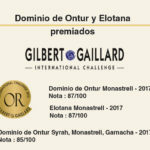 Variety of grapes: Monastrell, Syrah. Serving temperatura: between 14 and 16 ºC. Color: rubi red with bright roof tiles tones. Nose: fruity aromas and delicate spices like vanilla and licorice. Also toasted aromas reminiscent of coffe and licorice. Mouth: balance, fresh, glyceric and well structured in the mouth. Pairing: White and red meat (ox, cow) roasted or grilled, major hunt (deer, boar, roe deer), stewed meat stews. You will find our wines wrapped in their personalized boxes.